Denise began her journey as Administrator of the Full Service Community School Health Centers and partner to the Board of Education in Paterson for over 8 years. Along with her husband, George Hajjar, they began providing Pediatric Services to include a Doctor and Physician Assistants, Dental and Vision Services, Behavioral Health Counseling, and Nutrition/ Wellness Education for parents and guardians. Sadly, George Hajjar passed away in August of 2014 and Denise continued to develop the Full-Service Community School Health Centers in his honor; to carry out their passion to inspire families in Paterson to become educated in preventative health care and render Health Care Services so desperately needed in this inner city. Denise is passionate about the holistic perspective of development for each child. She believes education is half of the equation in order for children to develop intellectually, emotionally, and physically and achieve their hopes and aspirations. She feels extremely privileged to collaborate with the Board of Education in Paterson and to be working with such amazing children and families. She has brought yoga, dance, mindfulness meditation, and hygiene workshops for students in these Full-Service Community School. She appreciates any suggestions from families to further develop the successful outcomes for the students in Paterson. Denise holds a Masters Degree in Holistic Nutrition she has four wonderful children, a daughter-in-law, son-in-law and 2 adorable grandsons and a granddaughter. She is surrounded by their love and is supported by the Health Centers’ compassionate and caring Treatment Coordinators and Clinical Staff. Seven Clinics! And the past few years have welcomed School 9/ Charles J. Riley by offering Counseling Services to our incredibly strong Syrian Refugee Families. This year we are pleased to announce the opening of John F.Kennedy High School Complex and School 2. 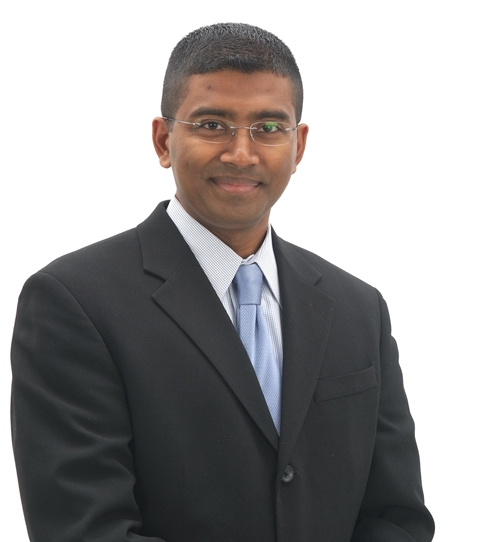 Dr. Mannan Razzak is a Board Certified Pediatrician and a Fellow of the American Academy of Pediatrics (FAAP). Dr. Razzak grew up in Paterson and attended Paterson Catholic Regional High School. He attended the University of Notre Dame prior to leaving for early admission in a medical school in Bangladesh. He obtained his medical degree from Bangladesh Medical College and completed a pediatric residency at UMDNJ-New Jersey Medical School with training at University Hospital and Hackensack University Medical Center. Dr. Mannan Razzak has worked in four of the five major hospitals in the area as a Pediatric Emergency Room Physician and Hospitalist. Immediately after residency, Dr. Razzak worked at Clara Maas Medical Center as a Pediatric Hospitalist and as a Pediatric Emergency Room Physician at Trinitas Hospital and Hackensack University Medical Center. He has also covered several pediatric practices as a locum tenens provider. Dr. Razzak currently works as a Pediatric Emergency Room Physician at Chilton Memorial Hospital and The University Hospital. He is a Clinical Assistant Professor in the Department of Pediatrics at New Jersey Medical School. Dr. Razzak helps train medical students, physician assistant students, pediatric, family medicine and emergency medicine residents at The University Hospital. Dr. Razzak also maintain a pediatric practice: Woodland Park Pediatrics and offers his Nurse Practitioner as well to do ‘Health Center Round’ on Tuesdays, Thursday and Fridays throughout our district Community School Health Centers. Cecilia Chan is a Board Certified Family Nurse Practitioner. Previously a school nurse and a Pediatric ICU nurse at Columbia Hospital, Saint Barnabas Medical Center, and Valley hospital, Cecilia obtained her Master’s degree at William Paterson University. She is currently with Woodland Park Pediatrics and sees patients in the FSCS Health Center three days a week. She believes that health promotion and education should start early in order to develop lifelong healthy habits. Melissa Elliott is the Director of Behavioral Health at the FSCS Health Centers. This is my sixth year at the Health Centers and I feel we have created a great program that can help students in our schools individually, with their families and in Groups. I am a Licensed Clinical Social Worker and over the last 25 years of practice, I have worked in schools systems, Outpatient mental Health Centers, and private practice. I started my training at The Yale Child Study Center, have worked on Child Study teams in two schools. I have been a Certified Group Psychotherapist for over 10 years and apply this knowledge to our groups here at the Health Center. I also have the pleasure of supervising Master level graduate student interns at our program representing Columbia University, Fordham, Ramapo College and Rutgers University and this year NYU. The FSCS Health clinic benefits all the families who attend our schools. The Health Clinic offers all students receiving Behavioral Health Services to receive them while they are in the school setting which benefits families with their work schedules and time restraints. Jennifer Hutchinson recently received her Master of Social Work from Fordham University. Jennifer worked as an intern for the Full-Service Community Health Center during the 2014-15 school year and is thrilled to be rejoining the community this year as a social worker. Jennifer will be spending most of her time at school 15 and the New Roberto Clemente this year! She is looking forward to a productive and meaningful year for everyone. 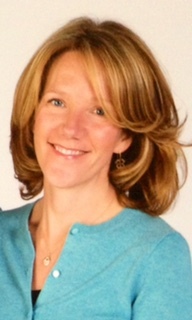 Sandy Johnson is a Licensed Clinical Social Worker (LCSW) and therapeutic yoga teacher (RYT-200). 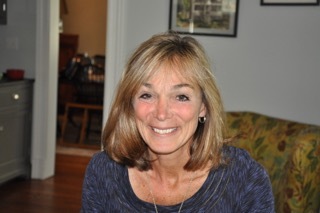 Sandy received her master’s degree from New York University and her yoga certification from Integrative Yoga Therapy. Sandy worked for Children’s Aid & Family Services as a clinician within their therapeutic group homes and outpatient family services programs. Sandy acts as clinical supervisor and leads therapeutic groups for New City Kids, an outreach for at-risk children and teens, in Jersey City and Paterson. Sandy continues to work with families involved in the child welfare system and maintains a private practice with a focus on the needs of children and families. This includes behavioral and emotional concerns that may arise as a result of an adjustment to school, divorce, adoption, neglect, abuse and/or loss of a parent or caregiver. 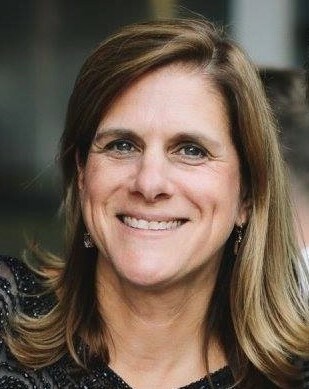 Sandy incorporates the practices of mindfulness and yoga into her mental health work in order to promote self-regulation skills, and improved attention and focus. Sandy believes that children may be our best teachers if we take the time to embrace what they have to teach us. Sandy is working with the students and families at the Frank Lautenberg school and with be a clinical supervisor of members of our team this year! Silvia Henriquez is a Licensed Social Worker and received her Master in Social Work from Rutgers University in 2016. Silvia worked as an intern at Full-Service Community Schools Health Center and is excited to have joined the team this year. Silvia has worked in various clinical settings, most recently Unaccompanied immigrant/Refugee Children in Transitional Foster care. Silvia has had previous supervisory experience in foster care, outreach and preventative programs in NJ and NYC. Silvia will be working at the Napier Academy and School 5 this year! Hello everyone! My name is Eli Mallouhi and I am a Social Work Intern for Full Service Community Schools. Currently in my first year at the Rutgers University School of Social Work, I am extremely excited for this upcoming year. Working with youth has been a passion of mine my whole life so interning at School 5 and School 9 this year is truly exciting! Outside of work and school, some of my hobbies include reading books, playing and watching sports particularly basketball and football, listening to all kinds of music, and hanging out with my family. This year is going to a be a great one and I am looking forward to it all! My name is Rosa and I am currently completing my Masters in Social Work from Rutgers University. This is my first-year internship placement with Paterson School District and Full Service Community Schools. I have a Bachelor’s in Psychology and an Associate in Liberal Arts. I am currently working at New Cares Associates LLC. as an Individual Support Technician where I work directly with children who have Autism and Down syndrome. I have also previously worked with adults at a care facility. I enjoy working with people of the community and helping those in need in any way I can. My plans for the future is to work at a school as a school social worker and help students strive and be successful individuals. My name is Natalia Lopez and I am currently completing my Masters in Social Work from Rutgers University. I am in the ChAP certificate program that focuses on promoting child and adolescent well-being. I graduated with my bachelors in social services with a minor in criminal justice from William Paterson University in 2016. This is my second year internship in the Paterson School District but my first year interning with Full Service Community School (FSCS). I will be working at the Frank Napier Academy and the Senator Frank Lautenberg School. I have worked with children and families from different organizations and in different capacities, such as Oasis, Royal Family Kids Camp, and School #15. I look forward to continuing in developing and enhancing skills to serve the families and children of Paterson. 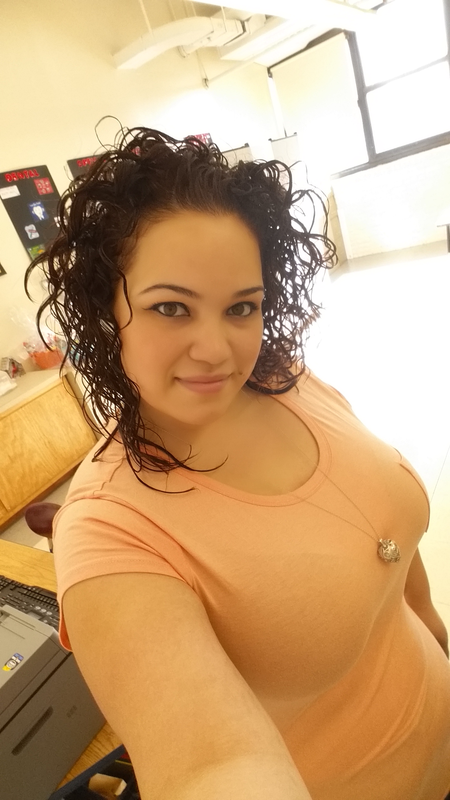 Sharina Garcia is currently completing her Masters in Social Work at Ramapo College of New Jersey. She began her internship at the Full- Service Community School Health Center(FSCS) in September 2018. 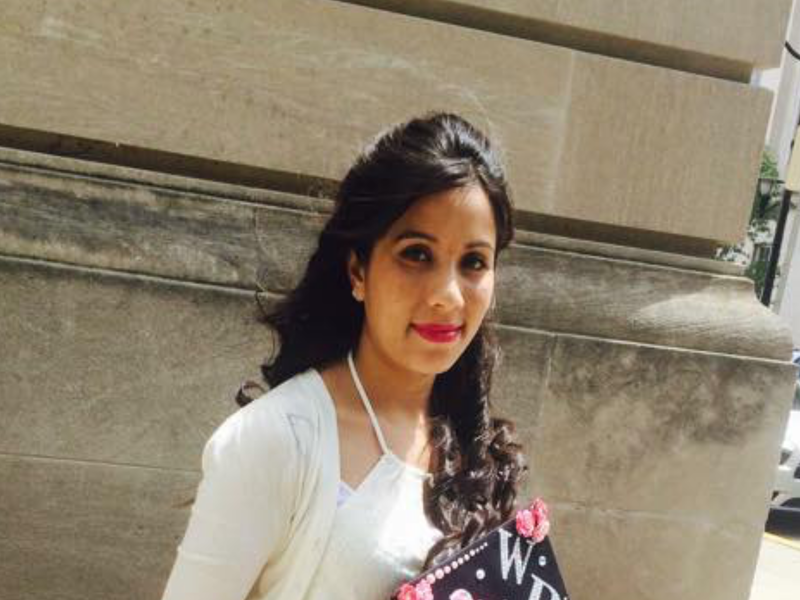 Sharina obtained her BA in Social Science from Ramapo College of New Jersey. Sharina is excited to be joining the behavioral health team at schools 15 and NRC. My name is Gabrielle and I am a first year MSW student at New York University. I am a social work intern at the FSCS clinics at schools 5 and 15! I am passionate about the social work field and love helping others in any way I can. I am so excited to be working in this community and creating wonderful relationships with students and staff. My hobbies include cooking, relaxing on the couch with my three dogs (I am a crazy dog lady! ), and being outdoors any chance I get. I look forward to what this school year brings!! Hi, I am Ms. Diane, the Treatment Coordinator for The Senator Frank R. Lautenberg School (formally known has school 6). I am a mother of four beautiful children; 2 girls and 2 boys. I graduated from Dover Business Colleges in 2011, with my certification in Medical Billing and Coding. I also have a license in Cosmetologist and Salon owner. I have been the Treatment Coordinator for the past 2 yrs. This has been a plus with all my experience to help the families at Senator Frank R. Lautenberg School. My name is Nargish Akther. I was born in Bangladesh. I moved to the USA when I was in 6th grade. Moving to a new country and going to a new school was not easy especially when you barely spoke English, but I was very ambitious and hardworking. I never gave up and always tried my best. My hard work paid off when I graduated from William Paterson University in May 2015 with a bachelor degree in public health. I also minored in Psychology. I’m a Certified Nursing assistant also certified in first aid and CPR. I love to learn new things; I believe there’s always something new to learn. Therefore, I like to participate in different programs. Last year, I did my internship at OASIS. Oasis had given me chances to participate in seminars where they teach you about different topics such as preventing sports injuries in schools and medical emergencies. Also, at OASIS I had the privilege of working on nutrition’s idea for children age 5-10 years. I was able to organize lesson plans and activities related to nutrition for the after-school program. I have always been very passionate about helping others. I believe it’s preeminent to use my education and knowledge in a field where I know I make a difference. I have always worked in places where I’m surrounded by many people with the feeling that my presence actually means something. I enjoy spending time communicating with different people especially when someone comes from a different county. You can learn so much from them. For example, I work in a nursing home, with the aging population. When I spend time with them I feel as if I am actually doing something great. I recently started working at the School 5 Full Service Community Health Center as a treatment coordinator. I’m very blessed to have this job not only because this job provides me with many opportunities to further my skills and knowledge but I believe being a treatment coordinator is a perfect fit for me because I can apply my skills that already are inherent. For example, on a daily basis, I interact with many parents and children, where I am able to use my communication skills and foreign language skills to help them. This position also gives me the opportunity to enhance my computer skills and time management abilities. My name is Ms. Victoria Vargas-Rivera. I’m proud and humbled to introduce myself as the FSCS Treatment Coordinator for The Napier Academy School #4 Health Center. I am bilingual in Spanish. I previously worked as a translator for Social Services and New York Hotels. I recently finished a year term of services at School #15 for AmeriCorps. where I served gratefully the Community of Paterson! It is s a blessing to be here and to work with a great Health Center team! I am looking forward to a successful year working with families & children providing great services at the FSCS Health Center! I am here to support and assist the students to meet their health care needs. Please stop by The Community Room-105. I’ll be honored to meet you all!! My name is Shalika Ulloa, I have been with the Full-Service Community School Health Center at School 15 since 2014. I am a mother of four beautiful children and worked as a Dental Assistant for a dental office for about 8 years. I left to attend American Institute to pursue a certification in dental assistance along with other credentials needed in the field of dentistry. Becoming a Treatment Coordinator of a Health Clinic has been one of the best decisions I have made in my life. Being able to grow a relationship with all the children in the clinic is what I look forward to every day. Whether it is providing services to them or just having them stop in to say ‘hi,’ the children of the Full-Service Community School Health Center have become my children too. My promise is that I will go above and beyond to provide everything that they need. Hello, my name is Jenny Cepeda. I am the Treatment Coordinator for FSCS Clinic at the New Roberto Clemente middle school in Paterson. I was born in the Dominican Republic and I arrived in the United States with my family at the age of 3. My parents came to this country in search of a better financial opportunity and educational system for their children. We have lived in Paterson for over 35 years and we love it. I am a mother of 2 boys who attend the Paterson public school district and I’m very involved in their education. I am Fluent in two languages Spanish and English which I can read, write and translate very well. I have attained two Degrees one from Passaic County Community College for Early childhood education in May 2015, and my most recent degree in December 2017 from William Paterson University with major in Psychology. I enjoy working with children and helping them understand and evolve into the next stage of personal growth. Hello my name is Alice Miranda I am the new Treatment Coordinator for Full Service Community Health Center at School 2. I have a Son and a wonderful grandson that is a big part of my life. I was born and raised in Paterson,New Jersey. I reside now in Prospect Park, NJ. with my significant other of 13 years. I am fluent in English and Spanish. I have worked as a Support Worker for over 8 years.One of my work experience was working for Collaborative Support Programs of New Jersey. There I observed mental illness clients on a daily basis and noted their thoughts and experiences. As a Support worker you learn to develop a working relationship with mental illness patients which lead me to earn my online courses in Comprehensive Behavioral Health.I am very excited and honored to be working along side with Oasis at Full Service Community School. Together we will do our best to help Parents, Students, and Families in the Community in need. We are looking forward to a productive and Successful Year. Hello everyone! My name is Taylor Weber and I am a second-year graduate student completing my Master’s Degree in Nutrition Education and Food Studies from Montclair State University. I am currently a nutrition intern with Full Service Community Health Center/ Health N Wellness Services, LLC working at John F. Kennedy Educational Complex. I received my Bachelor’s Degree in Public Health. I have always been interested in working with youth and educating young minds on healthy habits. I am so excited to be here and to share my passion with all of you, I truly believe that nutrition can help to heal the whole body! My name is Batoul Labban and I am currently at my Senior Year of my undergraduate degree at Montclair State University. I am majoring in the Applied Nutrition Program as well as minoring in Public Health. I began my internship with the Full Service Community Schools/ Health N Wellness Services, LLC at School 2 in January of 2019. I have enjoyed the opportunity to raise awareness and educate both parents and students of the school in monthly nutritious workshops. I really look forward to all the opportunities and experiences I will be able to gain with this internship program. Hello Everyone! My name is Maria Lopez and I am a Nutrition Intern for Full Service Community School Health Center/ Health and Wellness Services, LLC at School 5 and The Senator Frank R. Lautenberg School (formally known as School 6) in January of 2019. I am a wife and mother of two daughters. I have my associates degree in Exercise Science and currently in my last semester in completing my Bachelors Degree in Applied Nutrition with a minor in Public Health. I have always been very passionate about helping others. I believe I can share my nutrition knowledge to help others to maintain a healthy lifestyle through clarifying the risks and benefits of health recommendations from online sources and research articles. I want to bring accurate insights of nutrition to people so that they can make better health decisions. I am very grateful and blessed to be a part of this amazing team and the opportunity to further my skills and knowledge in working with parents and children.